Get a quick overview of our latest innovation for cloud backup. 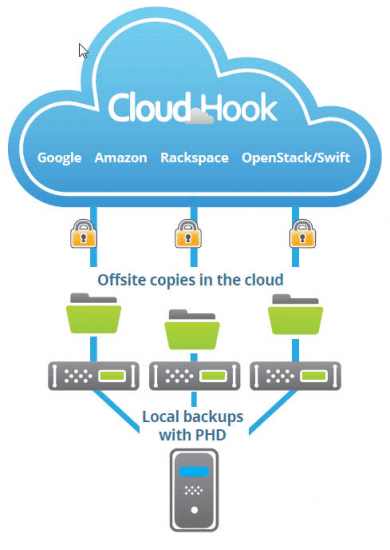 CloudHook enables a PHD Virtual Backup Appliance (VBA) to backup directly to cloud storage. You can use cloud storage as your main backup storage target, and avoid managing backup storage completely. Or, for a more robust data protection strategy with faster RTO’s, you can use one PHD VBA to backup to local storage, and another VBA to backup to cloud storage for an offsite copy of your backups. Once the initial backup is made, PHD delivers a fast, efficient means of backing up VMs over the Internet. 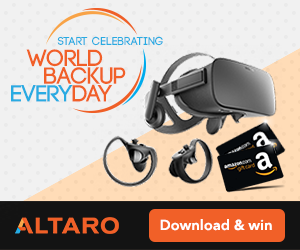 And with Rollback Recovery, you can recover full VMs from cloud storage in just minutes because it only transfers changes between the existing VM and the cloud backup data. CloudHook comes as a built in option with PHD Virtual Backup and Recovery (6.2 and above) for VMware or Citrix and installs in a matter of minutes. You simply set up a VBA for your cloud backups with a choice of cloud storage providers such as Google, Amazon, Rackspace or any OpenStack/Swift connection. 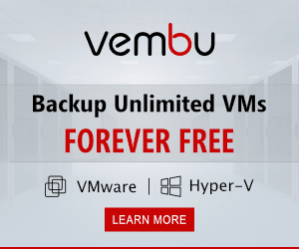 With just one click from your hypervisor console, you can then backup your VMs locally as well as to your off-site storage provider.